Want to cool down your home quickly and efficiently? Check out our guide to find the best tower fans on the market today. During the summer months, many homeowners use a fan to assist in circulating indoor air and increasing the comfort level of a too-warm room. Of all of the different types of fans exist on the market—window, pedestal, box, and wall-mount varieties—tower fans often rise above the rest. Its combination of high efficiency, space-saving design, surprisingly quiet operation, and impressive features are to thank for that. If you’re looking to buy one, keep reading for the key shopping considerations and three top-rated picks for the best tower fan money can buy. Before making a purchase, consider the following factors to choose the best tower fan for your needs. Size: Tower fans have a tall and narrow design, allowing them to distribute airflow over a large area while taking up minimal floor space. On average, most tower fans stand 30 to 40 inches tall, and the base takes up about one square foot. Homeowners can easily position the fan in narrow spaces and corners, where it won’t interrupt a room’s foot traffic. Airflow Velocity: A fan’s airflow velocity is measured in cubic feet per minute (CFM), or how many cubic feet of air the fan can move per minute. Most of the time, consumers can find this information on the manufacturer’s packaging, or by researching consumer reviews of the fan. Tower fans generally produce less airflow velocity than other types of fans, since the blades on a tower fan (which are housed within the vertical unit) are much smaller, and therefore move less air. But keep in mind that a tower fan will still meet or surpass the needs of most homeowners. Speed Settings: Most tower fans have at least three speed settings: low, medium, and high. However, many offer additional settings that allow you to finely tune the amount of air circulation in the room. Noise: Since tower fans have smaller blades, they’re typically quieter than other types of fans. Most produce a low “humming” noise as opposed to the louder “whooshing” noise of fans with larger blades. The sound isn’t loud enough to impede on conversation, and it’s ideal for those who enjoy sleeping with white noise. On lower settings, tower fan will typically emit even less sound, leading some manufacturers to use terms like “whisper-quiet” and “calm.” If you don’t like noise, stick with a tower fan that has a lower decibel rating. Oscillation: A majority of tower fans oscillate, or rotate from side to side, in order to direct airflow over a wider area. 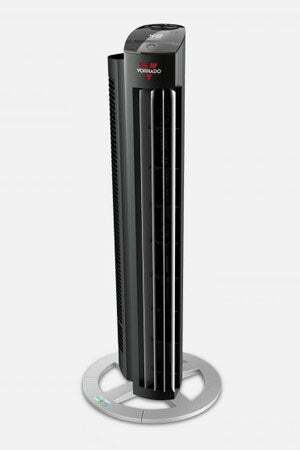 Consumers will typically find tower fans with an oscillating arc of 90 degrees or 95 degrees. A handful of tower fans on the market can oscillate a full 360 degrees, but unless you plan to place the fan in the center of a room, full-circle rotation is probably unnecessary. Some models also come with the ability to select the width of the oscillating arc. Added Features: Many tower fans have added features that increase their appeal to consumers. For example, remotes allow a user to start the fan, adjust the speed, and control the oscillating function from anywhere in the room. Some tower fans come with air filters that prevent dust, pollen, and pet dander from recirculating. 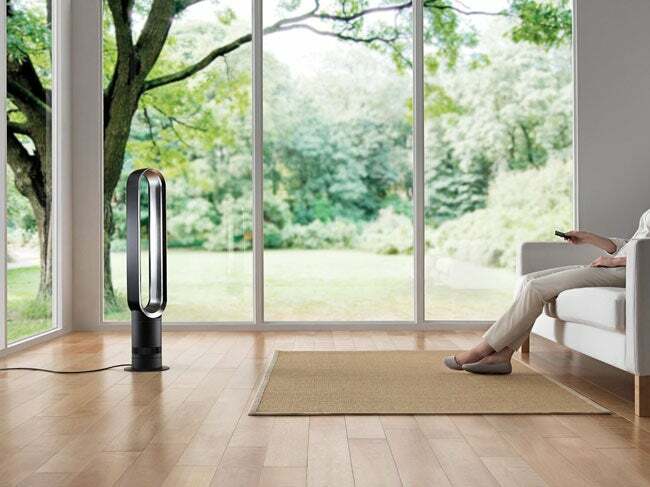 Additionally, some models have ionizers that purify the air as it circulates through the fan. Looking to cool down your home with a tower fan? Here are our top three picks for the best tower fan, based on consumer reviews and expert opinions. 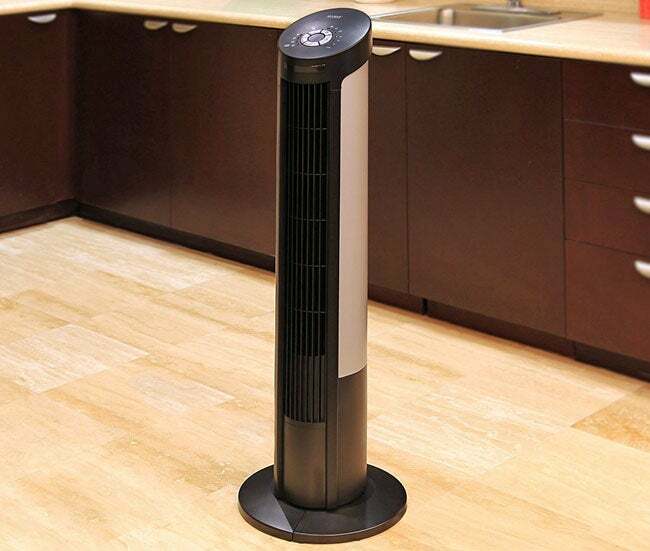 In their own firsthand testing, Wirecutter selected Seville Classics UltraSlimline 40″ Tower Fan as “the best fan for most people.” It wasn’t one single feature that sold The SweetHome testers on the Seville tower fan, but rather a “balance of price, power, noise level, and convenience.” The Seville was significantly quieter than other fans they tested, especially on its lowest settings. 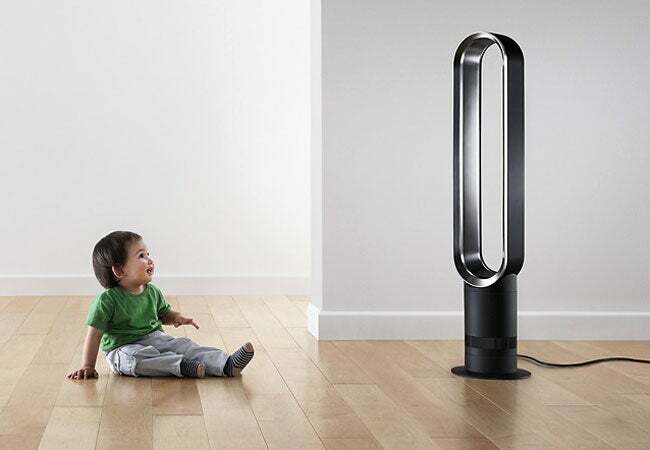 Its contemporary black satin finish complements nearly all room styles, and it comes with four operating speeds: high, medium, low, and eco, which provides a gentle breeze and reduced energy consumption. The fan features a lighted control panel for easy operation at night, a programmable timer, and a 75-degree oscillation arc. With a height of 40 inches, the Seville weighs in at just under 11 pounds and takes up less than one square foot of floor space. Available on Amazon. The Vornado NGT33DC Energy Smart Tower Fan is a favorite of Amazon customers, who award it an impressive 4.6 stars. Measuring 33 inches tall, it’s slightly shorter than our other picks, and it also doesn’t oscillate. Instead, homeowners can adjust the width of the airflow to any of its 99 settings, achieving anything from a narrow direct path up to a full 90-degree span of sustained airflow coverage. The fan features a brushless motor, and the manufacturer claims that it uses up to 80 percent less energy than competitive tower fans. Additional features include a remote control, a timer that’s programmable up to 12 hours, and quiet operation. 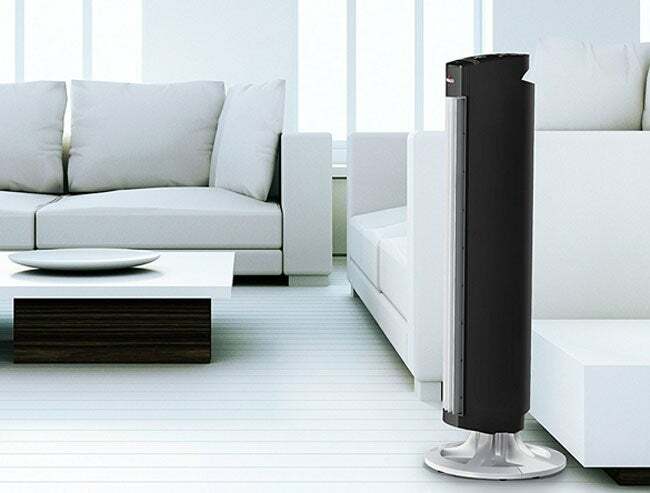 Weighing only 7.6 pounds, the Vornado can be easily moved from room to room, and like most tower fans, it takes up less than one square foot of floor space. Available on Amazon. Our most expensive pick, the Dyson Air Multiplier AM07 Tower Fan, wins honors from Your Best Digs, who describe it as “the best fan if money is no object.” In testing, the Air Multiplier demonstrated “the ability to generate the most cooling power at the lowest noise levels.” The fan has innovative bladeless technology, 10 speed settings, an oscillation arc that adjusts up to 90 degrees, and a magnetized remote that attaches firmly to the unit. Other features include a timer with preset intervals and a wipe-clean surface to keep the Air Multiplier looking sleek and shiny. The fan weighs in at 12 pounds and stands 39.6 inches high. Amazon customers give the Air Multiplier an enviable 4.4-star rating, and they especially like its whisper-quiet operation. Available from Amazon.